This is just a small selection of the Christmas presents I've made and bought for friends and family this year. 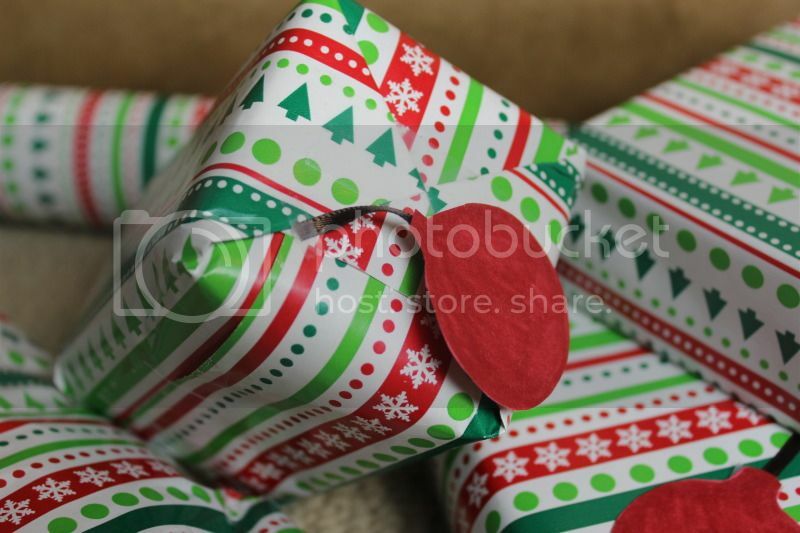 However, this year, I wrapped them all the same way. 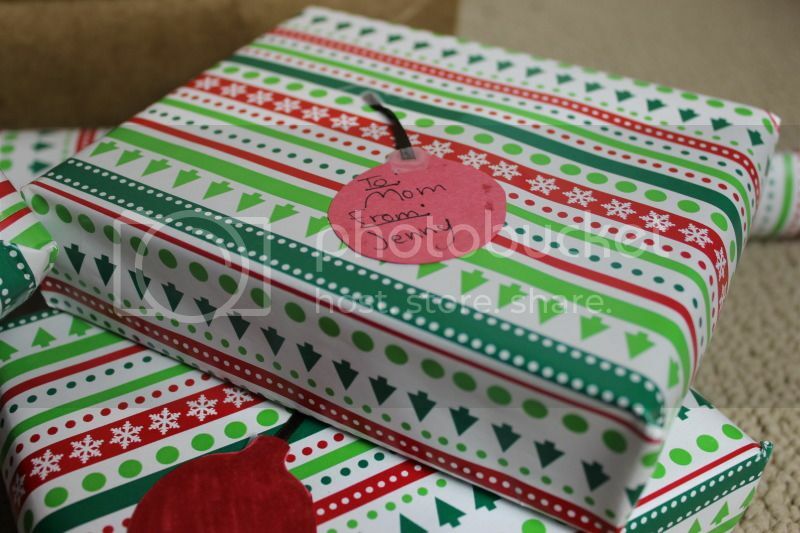 I was inspired by a simplistic wrapping paper design I found at Targe. It was on the cheeper end of their paper but I fell in love. 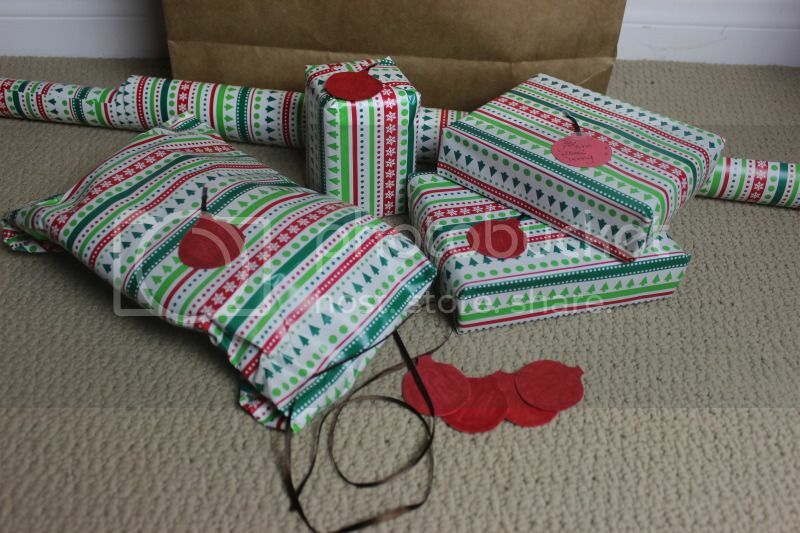 In lieu of bows, I cut out ball ornaments shapes from some scraps of red construction paper I had lying around. I used a circular pin and a red sharpie to get the perfectly round shape, but I'm sure I could have eyeballed it as well. 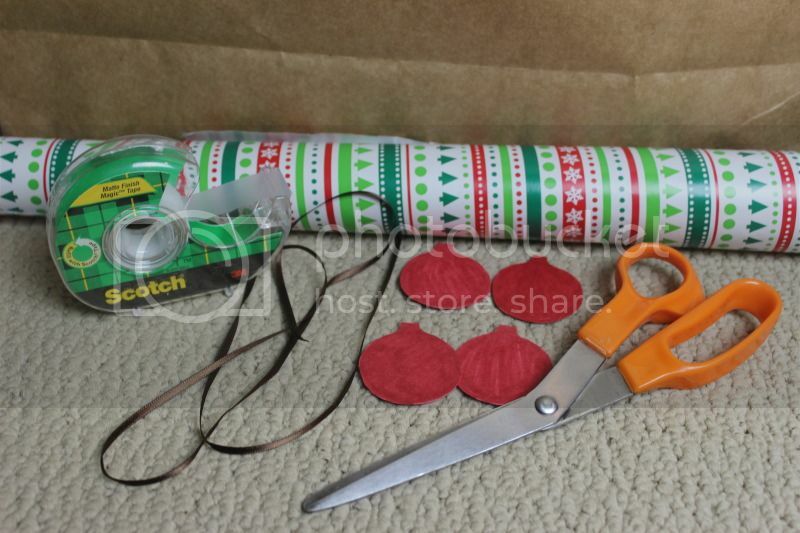 Then I cut a small piece of brown ribbon and attached one end of the paper and the other end to the present with tape. If you want to do this yourself all you need is above! (and a red sharpie and pin if you don't want to eyeball the circle shape.) Good luck and happy holidays!